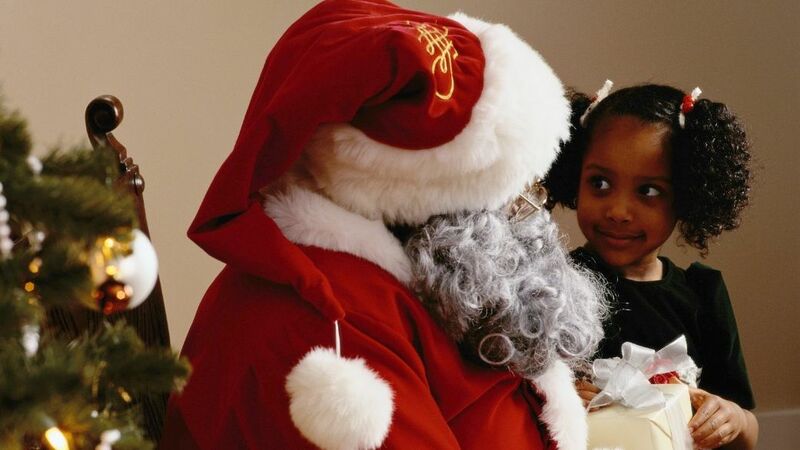 …and Feast is certainly spreading the Feastive Christmas love far and wide this Sunday. As it’s the last Feast until April 2017, we have made it a MASSIVE one. We normally have five hubs, but this month we have seven! And a free film at the end of it all too! Christmas is galloping right at us, all reindeer hooves and shopping bags, so where better to get you into the mood and even start your prezzie buying than at Feast? 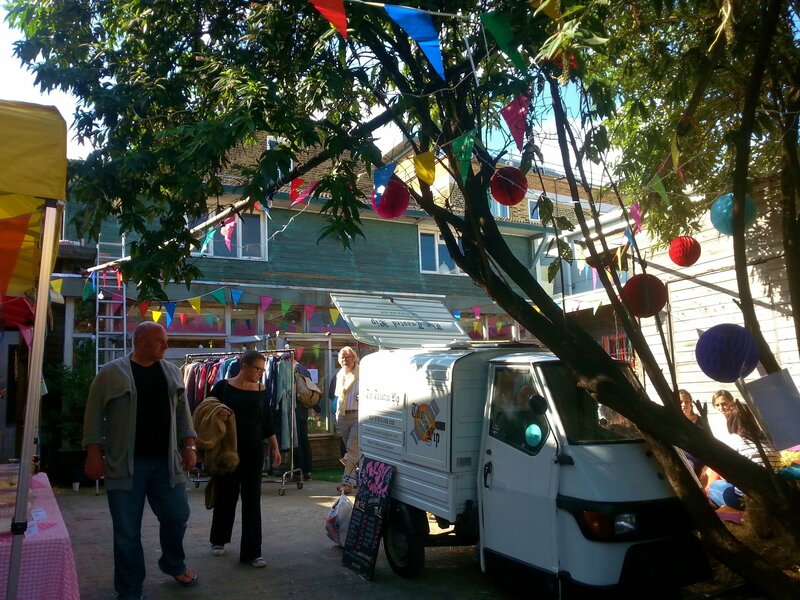 And for the seventh shopping treat this Feast, the charity L’Arche will be having a Christmas Fair to showcase the work of local makers through the organisation Rock Paper Scissors. This is just a five minute walk down from Chatsworth Way where Artisans is! What a fitting way to end a year of amazing Feast entertainments! 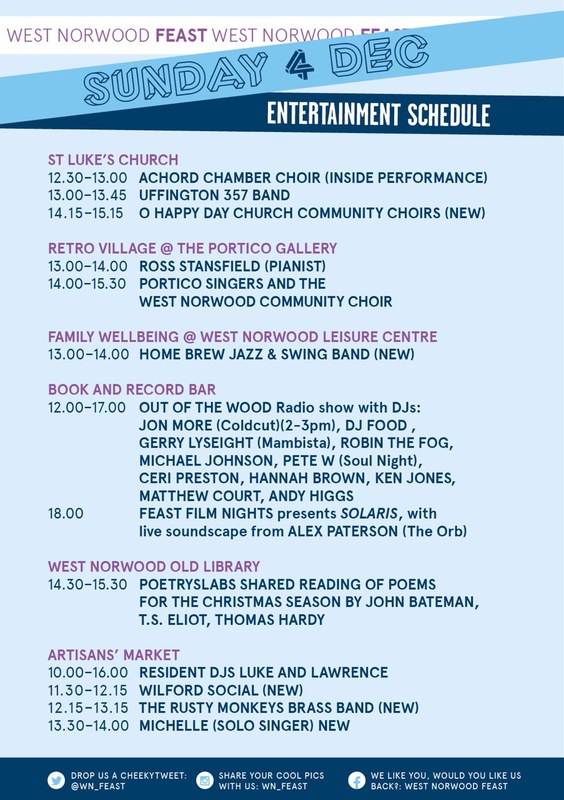 We have FIVE new acts this month – it’s the first public outing of O Happy Day Community Choir, which has members from at least five West Norwood churches, as well as a Jazz & Swing band performing for you at lunchtime at Family Wellbeing and three new acts at Artisan’s! 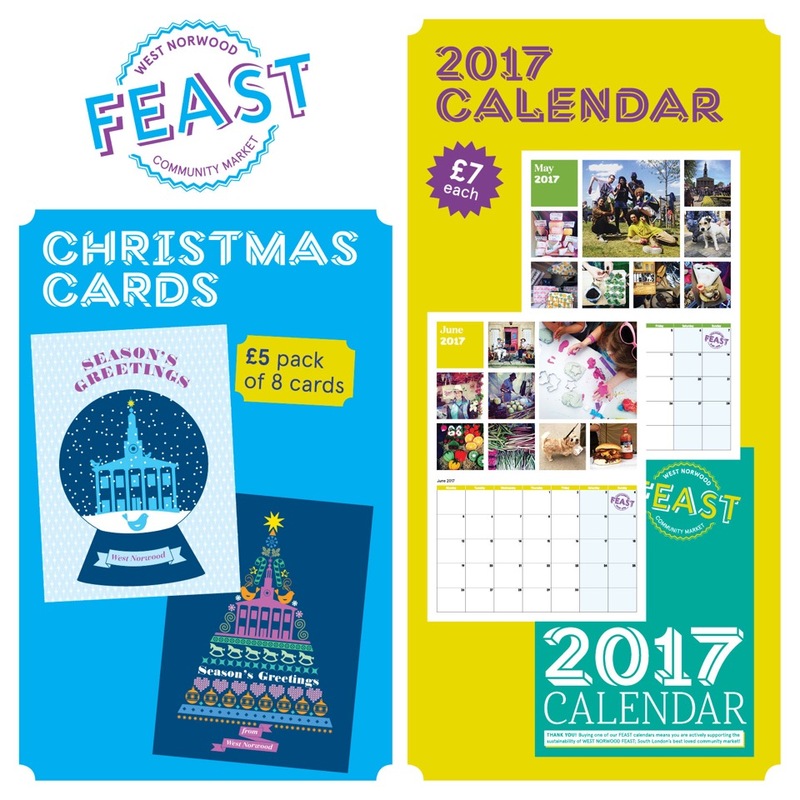 Kids can make lolly stick Christmas characters at Family Wellbeing or their own Christmas cards at Artisans – and you can buy gorgeous Feast themed Christmas cards…and a Feast CALENDAR!!! 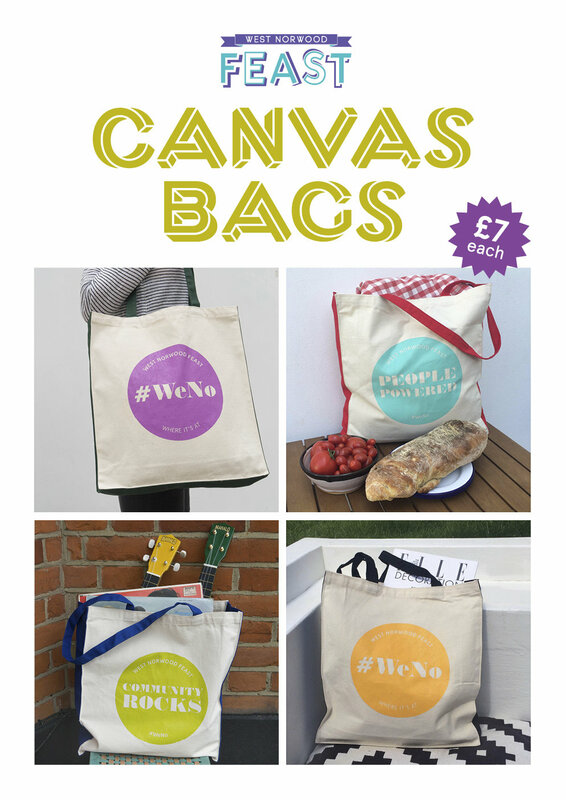 With all that shopping, you’ll need a Feast baggie to carry it all home in…. 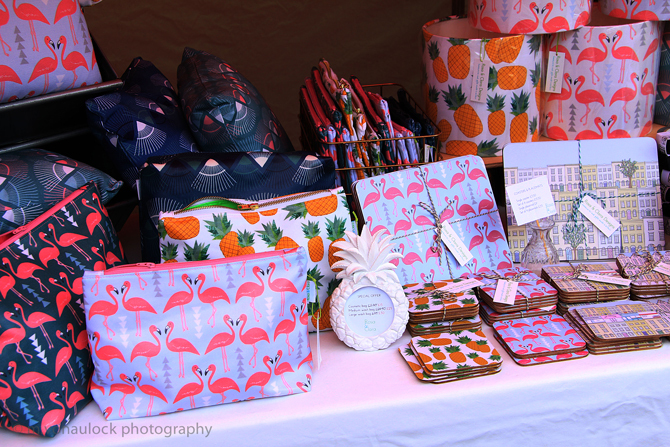 Buying Feast merchandise is great thing to do, not just because it is lovely (obvs), but also because it helps keep the wonderful Feast show on the road. 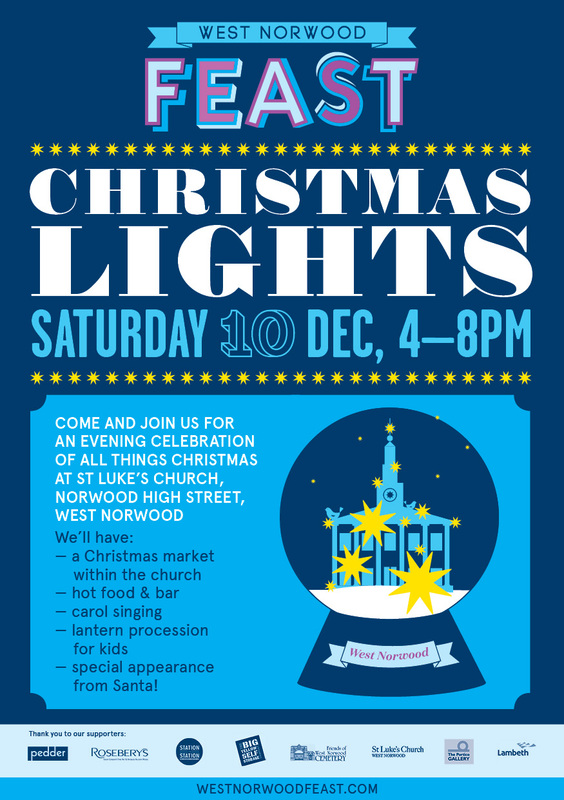 Feast Christmas Lights, Sat 10 December! 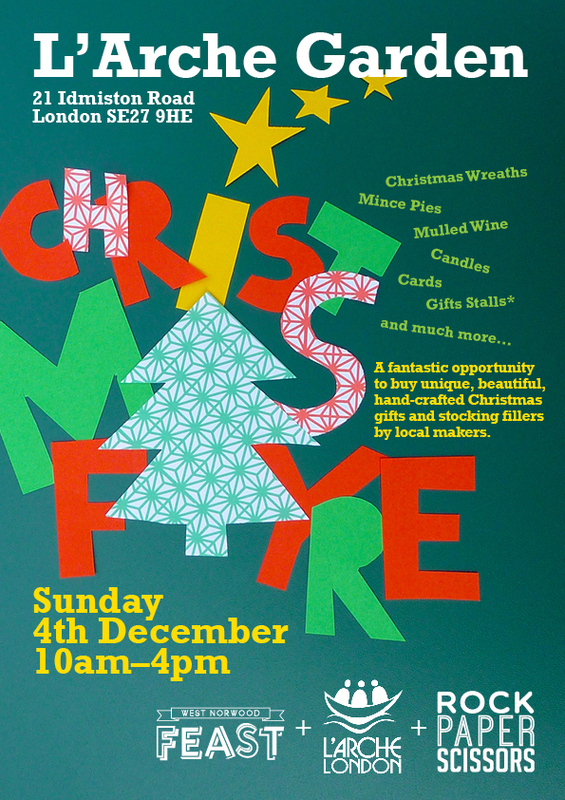 Christmas wouldn’t be Christmas in West Norwood without this lovely event. 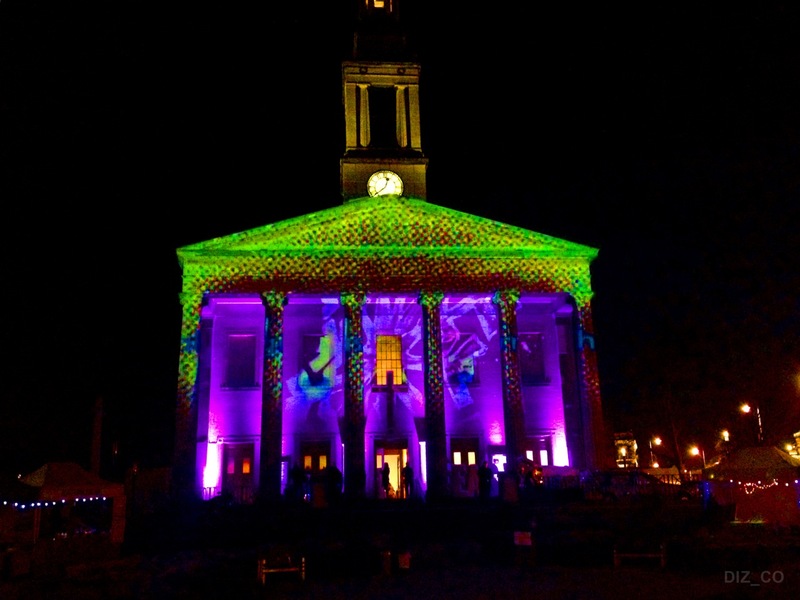 This year we have asked the powers that be to keep the gales away so we can all see the Christmassy illuminations on the front of St Luke’s…there will be LOADS.